Sharon Wells Wagner makes her literary debut with the story of her father, Red Wells — a man who has seen hardship, joy, and adventure. Telling the tale through his eyes, she takes us on a remarkable journey from childhood through the Second World War and beyond. Growing up poor in small-town America, Red spends his days as a youth wandering the streets, hopping freight trains, and shuffling from home to home. But when he joins the Army, his life changes forever. From his early training in the jungles of Panama to his battles in the war-torn streets of Belgium and France, Red learns the meaning of family from the men with whom he serves – the men of the 99th Infantry Battalion (Separate). The lessons he learns and the events he witnesses influence who he becomes, and he returns home a new man. 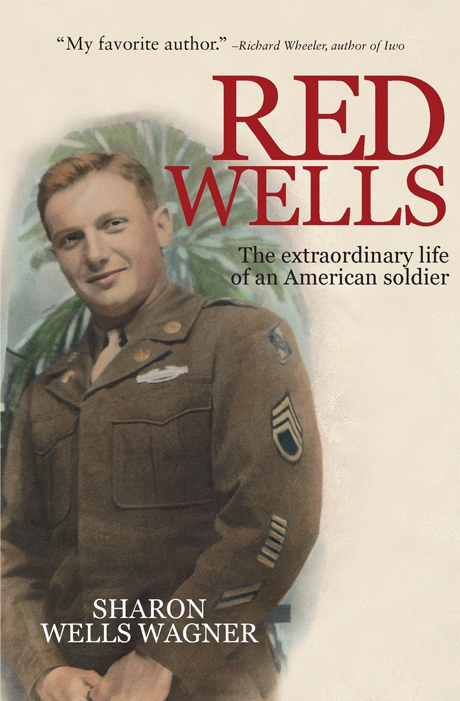 Red Wells is more than a book. It is a true story – a legacy to an extraordinary man and his life’s journey. Former computer instructor Sharon Wells Wagner spends most of her time writing, watercolor painting, and taking care of her family and pets. She enjoys fishing, horseback riding, and playing guitar. Deeply spiritual, she loves the outdoors and finds inspiration to write in the natural world around her. She lives in Berks County, Pennsylvania.